Bengt Hanson tilldelades 1992 ett stipendium från Laila och Charles Gavatins Stiftelse för Jazzmusik "för att han med sitt på samma gång följande som ledande basspel under decennier känsligt och fantasifullt förmått locka fram lust och glädje, leklynne och allvar hos huvudstadens frontsolister och deras gästande kollegor i världsartisternas krets". 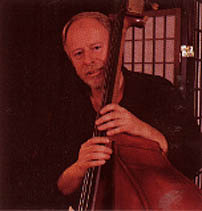 Bengt Hanson was born in 1944 in Stockholm, son of a bass player. He started off playing guitar but, at the age of 15, changed to his father's instrument. From his teens and until well into the 1970s he played with the Swedish Jazz Band, or the East End Jazzmen as they initially styled themselves. For a few years in the 1970s he also had a quartet of his own, which among other things launched the Swedish tenor saxophonist Nisse Sandström. Together with Knud Jørgensen, Bengt has performed with several guest soloists, among them trumpeter Harry "Sweets" Edison. As a bass player, Bengt has been profoundly influenced by, among others, Jimmy Blanton, who revolutionized bass playing around 1940, as well as Ray Brown, Paul Chambers and George Mraz. In 1992 Bengt Hanson received a scholarship from Laila and Charles Gavatin's Foundation for Jazz Music.